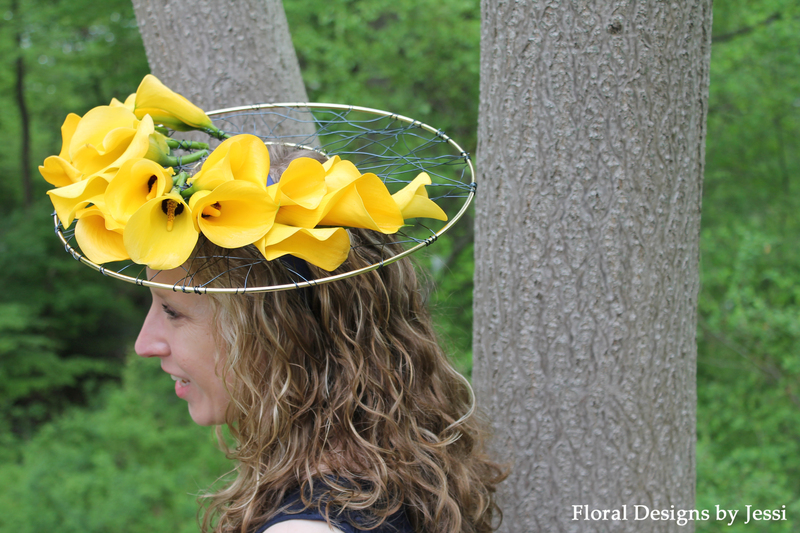 This entry was posted in Real Weddings & Events and tagged blue, calla lilies, floral hairpiece, floral hat, horse races, Kentucky Derby, Pennsylvania, Willowdale Steeplechase, wire, yellow by jwilson600. Bookmark the permalink. 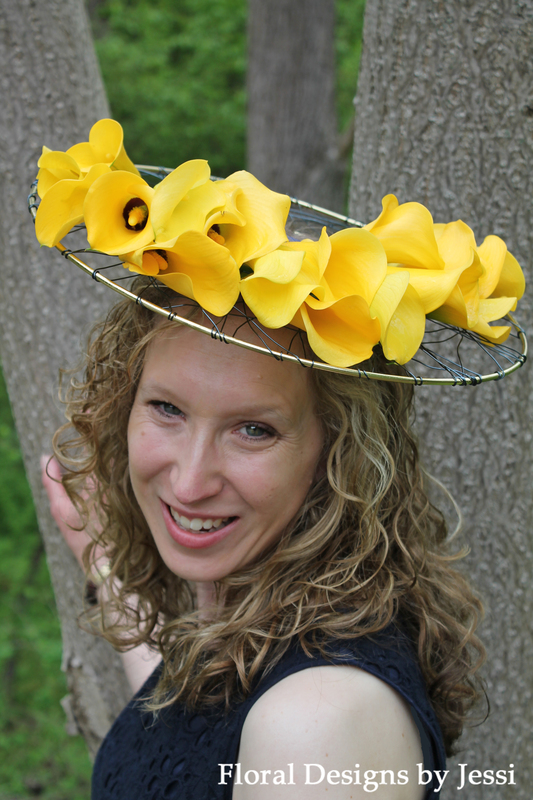 Jessi, your floral fascinator was another stand-out at the Willowdale Point-to-Point Steeplechase today! The yellow calla lilies were amazing! Your floral fascinators are definitely the thing for the social season or your next big event!! !